In addition to the above, there is also an Air Bag Recall – in April 2015 NTHS announced a recall -, the front passenger seat occupant detection mat may not function properly and, as a result, the front passenger air bag may not deploy in a crash. Recall is in effect for some of the models built between 2005 and 2008. 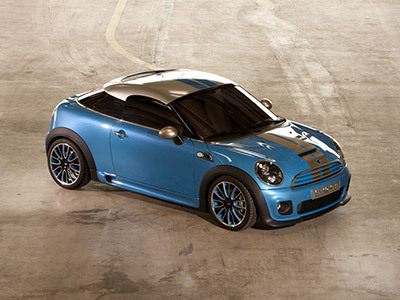 You should be contacted by Mini, but just in case, call MINI customer service at 1-866-825-1525. Having said all that – Mini Coopers are fun, inexpensive performance cars. All cars have problems, and as for the airbag recall – the Takata airbag recall impacted millions of cars. Mini Cooper’s airbag recall pales in comparison. Regular maintenance can keep your car happy and on the road. Give us a call at Adams, or schedule an appointment online for same day (in most cases) MINI service and repair. Mini Cooper Failed Electric Power Steering Pumps – electric power steering pumps have been known to fail more frequently than one might expect. If your Mini has problems with the power steering pump, we recommend checking out the cooling fan while the repairs are performed. Silver lining – some Mini models have extended power steering warranty. Call a dealer with the VIN number to find out if your Mini qualifies. If you cannot get them to fix it under warranty, bring your Mini to Adams, we will take good care of your car – we charge less than dealers, and do better quality work. Mini Cooper Transmission Issues – owners have reported transmission issues. Be sure to have transmission fluid checked regularly, and have it flushed as indicated. Mini Cooper Clutch Failure – this can happen as soon as after 20,000 miles driven. Again, check if you can get a Mini dealer to repair it under warranty. If not, give us a call, we will get you back on the road ASAP. Mini Cooper Rattling Timing Chain – If your timing chains starts rattling, get your car to a shop as soon as possible. If not handled right away, it could results in serious problems. Timing chains on the Mini can be problematic in general. There are reports of timing chains breaking and engines being ruined.